Being doing one initial pass on adding content to our Showcase, there are close to 100 server-compatible mods to add, uff! I wish you a good Christmas! If you read this your mom big gay. Get your fresh profile covers! You can upload static and animated images, as well set a new solid color. 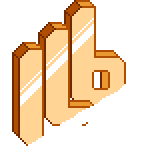 9 Days to go for ILB's biggest announcement yet! This is a bacon, this is a Fox, Fox will pat the bacon. So you're going by "Bacon" now nerd? Haha whats up douche bag, it's Tanner from Highschool. Remember me? Me and the guys used to give you a hard time in school. Sorry you were just an easy target lol. I can see not much has changed. Remember Sarah the girl you had a crush on? Yeah we're married now. I make over 200k a year and drive a mustang GT. I guess some things never change huh loser? Nice catching up lol. Hi I'm new, my name is Bacon and I like ERP Logs.